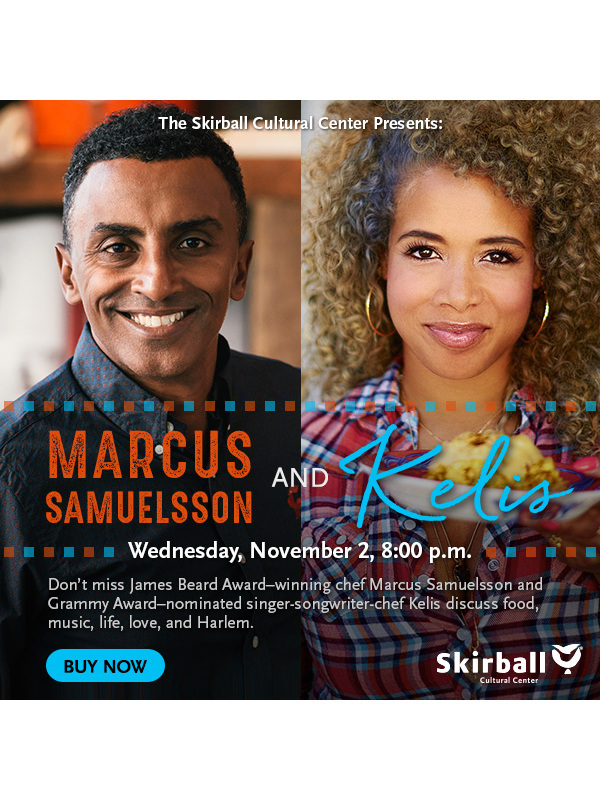 Programmed and produced a conversation between James Beard Award–winning chef Marcus Samuelsson and Grammy Award–nominated singer-songwriter-chef Kelis discussing food, music, life, love, and Harlem. Moderated by Lara Rabinovitch, PhD. Samuelsson’s book, The Red Rooster Cookbook, brings the flavor of Harlem to life through Southern comfort food and multicultural recipes. Harlem native Kelis, a recent graduate of Le Cordon Bleu, tells her personal story through the food she creates—from pernil and arroz con gandules to Malay curry chicken and Swedish meatballs—in her book My Life on a Plate.